I have been a fan of home automation for a long time. My whole house is still running on X10 and Insteon, both older protocols for sending home automation signals over the AC lines to control lights, appliances, and alarm components. But all things change and advance. Enter IoT, or Internet of Things, the new name in home automation. This brings a whole slew of new gadgets, all connected to the Internet. And the promises are all there. From controlling all the lights and appliances in your house from anywhere in the world, to starting your coffee maker before heading home or waking up. Or how about controlling music for the whole house, looking into your home with wireless cameras, or remotely unlocking your front door for a visitor when you are not home? There is even a new refrigerator that lets you look inside from the store to see if you need milk. But these things do not always live up to the promises. There are many issues including one device not talking to another, range problems, sometimes meaning you need to be in the same room as the device to control. There is often interference from other devices in the area, and the ever-looming specter of security issues. In 2016, Hackers used webcams and DVRs to launch a DDoS (distributed denial of service) attack on the Internet, turning those little IoT devices in your home into chatty little things that attacked systems all over the Internet. 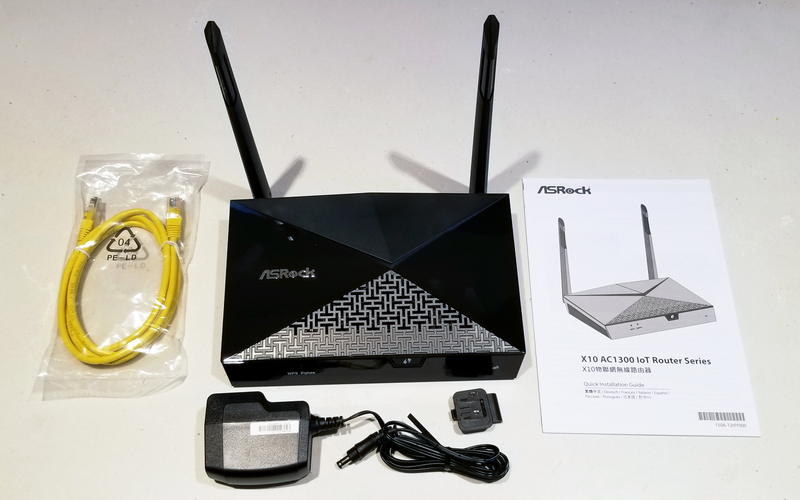 So ASRock decided, why not just incorporate IoT into a home router, and create a device that not only handles your Internet needs and security, but your Internet of Things (IoT) needs and security as well. Does it work? I replaced my Linksys WRT1900AC router with this device for an A/B comparison as a router. 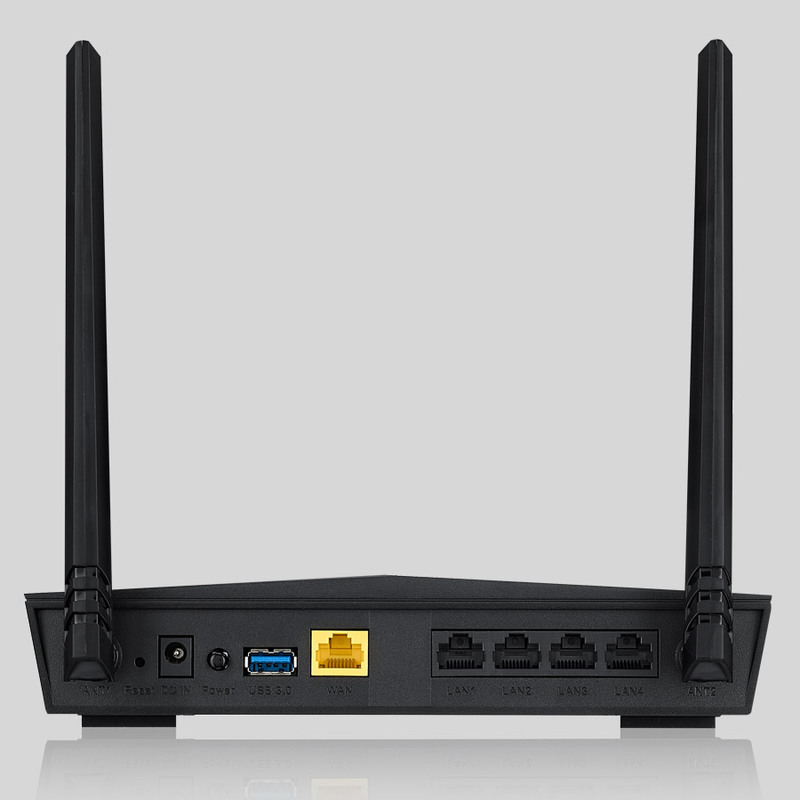 The ASRock is a typical 802.11ac router supporting the standard 2.4 and 5GHz frequencies and standard security features. It can function as a router, an Access Point (AP), or a Bridge to connect multiple networks. Nothing surprising there. The dual band WiFi access point uses MU-MIMO and beam forming technology to enhance WiFi performance, especially in multi-user environments. Reported speeds (not measured, see below) are 400 Mbps for 2.4GHz and 867 Mbps for 5GHz. 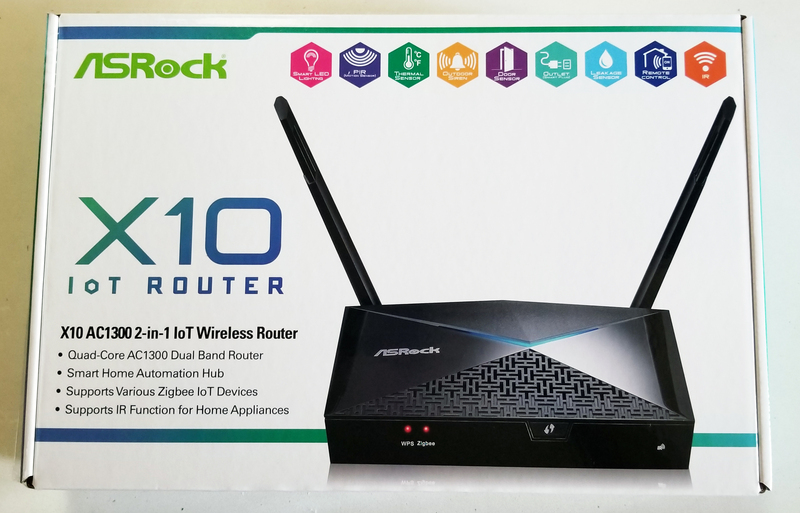 The ASRock X10 IoT Router is an AC1300 class wireless router, which means it has a peak hypothetical bandwidth of 1300 Mbps. This is not at the top end of home routers, but fits the speed and specs of many routers in its price range. You could do much worse in this category. There is nothing special about the plastic box, it has some hard edges and sharp corners, and feels cheaply built. The blue power/status lamp along the top is a nice touch. The router has four Gigabit LAN ports on the back, one Gigabit WAN connection, as well as a USB 3.0 connection for network storage. Also on the back are the power connector, power button, and the antenna connections. Fairly typical for this class of router. Speed tests using the wired LAN ports screamed along, showing results even faster than my Linksys. I saw results above 930 Mbps on average. Impressive. As for the USB 3.0 port, not so impressive. I connected a 3.0 drive, did some file transfers, timed and calculated speeds. (Yea, not scientific, but gives an estimate anyway.) For reading, I saw an average speed around 25 MBps. Not exactly impressive, but should be good enough for most streaming anyway. But write performance was pathetic averaging just above 5 MBps. Moving larger files to the USB drive is painful. WiFi range performed exceptionally well, exceeding the range of my Linksys by a good 20% or more. It easily reached to the far ends of my house with a decent signal, where my Linksys does not. An impressive performance. Lastly, if you already like your current router but want the IoT functionality, add this router in either bridge or repeater mode, bridging to your existing network to the IoT network of devices. While the overall performance was impressive for multiple users with less slow down, single user total speed was slower than the Linksys on average, even at short range. Speeds on the faster 5GHz bands averaged around only 300 Mbps, while the Linksys approached and beat almost 400 Mbps. A little disappointing, and far below the 867 Mbps “reported” speed of the manufacturer. This router supports 2 protocols as an IoT Automation Hub, IR and Zigbee. Surprisingly, this router includes an IR blaster located along the router top, and can send IR signals to IR controlled devices in the same room. But why? Well, I did not realize that such a large number of controlled sockets, power strips, lights, and home appliances use IR to control them. 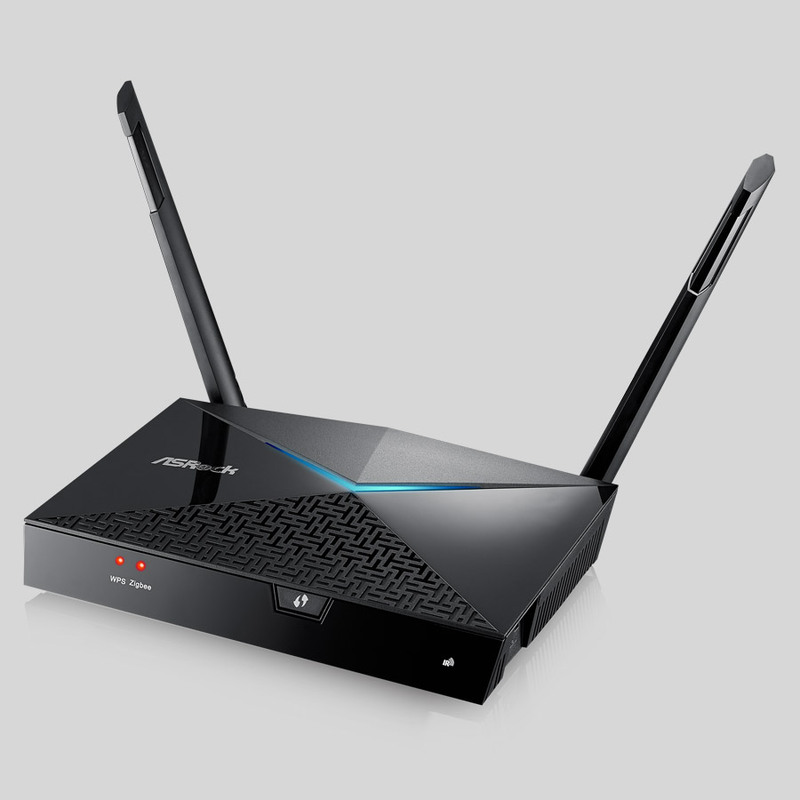 And this router has a VERY LARGE library of devices available online, including most devices in and around your TV. It also can learn directly from your remotes as well. Unfortunately, like many, my router is not typically near my TV where this would be most useful. But I moved it to my TV room for a test. I could quickly control my TV, A/V amp, set top box, DVR, VCR, and other IR controlled devices from my phone. Creating a “scene”, basically a group of devices and actions, I could turn everything on or off with one touch. I was also able create a DVR scene, as an example, to turn on the proper devices, and automatically switch the A/V amp to the DVR input. This was much more useful than I first expected. Beat the heck out of my old universal remote anyway. One of the newest formats for home automation is Zigbee, and this router has a built-in circuits to support Zigbee devices and sensors. Zigbee uses both your AC lines and wireless signals to communicate with many devices now using the Zigbee protocol. These include Philips Hue bulbs and Samsung SmatThings to name a few. There are also security motion sensors, alarm devices, and electronic locks for your front door too. You can also buy small Zigbee prototyping boards to add automation to devices that currently do not have it, like your sprinkler controller. Suffice it to say, there are a LOT of Zigbee devices out there. Learn more about Zigbee devices here. Strangely, missing from this router, especially given its name, is support for X10 compatible devices. X10 is a power line carrier network that uses your home AC lines to carry communications between devices and has been around for home automation for decades. X10 has modules has switches, dimmers, plugs, lamp adapters, fan controllers, alarm interfaces, and much more. So don’t let the X10 name fool you, there is no support for X10 here. Note that you can buy a Zigbee to X10 adapter, but then again, another hub? While the router has an OK web interface (see below), the real power lies in the companion ASRock app (free for iPhone and Android). 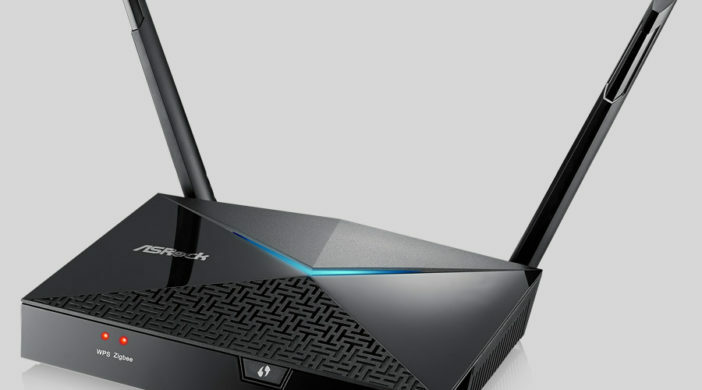 Full control of the router is possible through the app. The router interface is identical to what you would see if you logged on through the web, albeit a bit smaller. This good news is you only need to learn one interface. The bad news is the interface is not proper for a mobile app. Just look above to see how small it really is. Of course you can zoom and scroll around, but the app could really use a real app interface. This is a serious omission in my opinion. 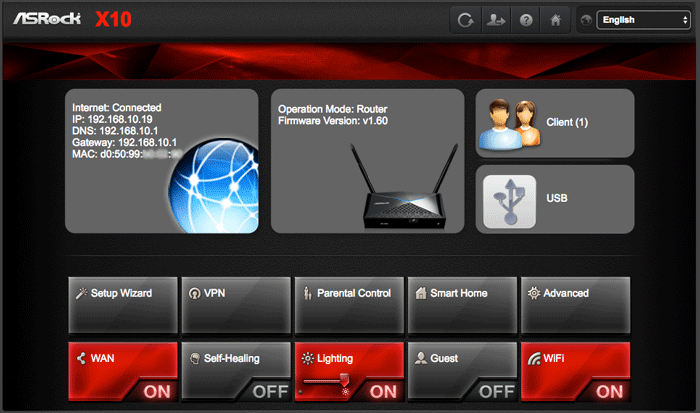 To add devices to the router, you download the app and create an account (free) on the ASRock server system. Once created, you add your router to the app. (You can add and control multiple routers from this app.) Then simply click on the IoT Devices icon, and start adding devices. My evaluation router also came with two IoT devices. First up, a Philips Hue bulb. Attaching this Smart Home IoT device to the router was a simple task. Once attached, I could control on/off and dimming of the bulb. 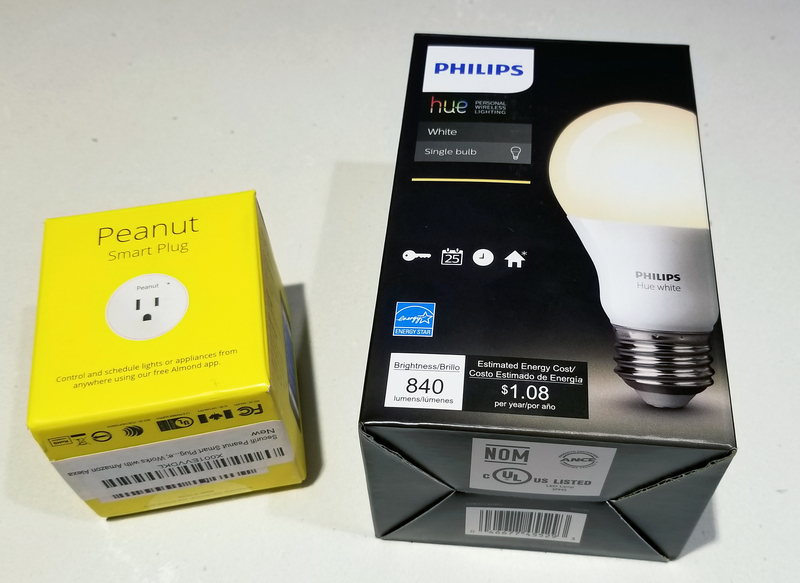 I also received a Peanut Smart Plug, which easily connected to the router in a similar method. This is a small module that plugs into any standard outlet, and controls just about anything (reasonable) plugged into the peanut. With both added, the app now shows both devices, with the manual controls for each. 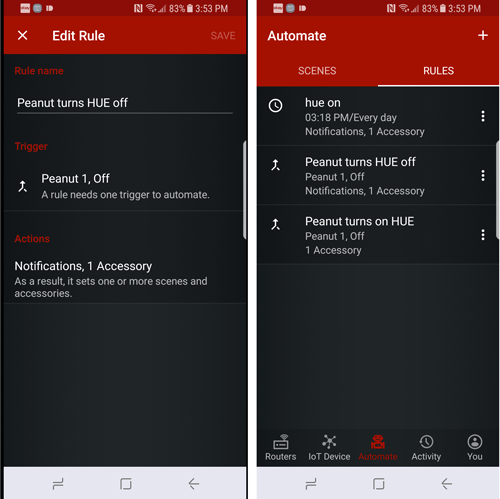 The app also controls automation, scenes, and notification of changes to attached devices. Sadly these functions do not appear on the web interface even though the events live in router rather than the app. I did create several timers to turn each device on and off at certain times, as well as a few scenes that turned them both on and off. These timers run even if the app is not running, so obviously stored in the router as well. Basic home automation is doable, including triggers as well. But I found the app a bit difficult to use, and would really rather have done this at my computer with a larger screen. In light of several attacks on home IoT devices in the recent past, the router restricts access to device control for users outside the local network. At first I found this a bit disappointing, as I can currently control my lights and devices remotely, and often do. Say, for example, I am coming home late one night and I want to turn on the outside lights. But in reality, that ability can be a security hole. ASRock’s security blocks that functionality, but there is a workaround. Simple set up your phone to connect to the router’s VPN (Virtual Private Network – see VPN below), which basically puts your phone inside your local network remotely. You now have full control of everything from outside the network. Like most modern routers, once turned on and running, it has a web interface for setup and preferences. It has all the usual settings you would expect to find on a router at this price, including a decent setup wizard. Under advanced, you can manually set up all the typical settings for Wireless, Security, LAN, and WAN. You can also set up the typical port triggering and port forwarding, and put a computer outside the firewall in a DMZ if needed. Quality of Service settings allow you to prioritize systems for bandwidth use. The router also supports DDNS (Dynamic DNS). Most ISPs these days assign an ever-changing IP address to your router, much like DHCP does inside the LAN. Without a static IP address, there is no way to access your machines inside your LAN from the Internet because you address could change at any time. Using Dynamic DNS tracks your current external IP address and publishes it to a named service. For example, if I assign orubin.dyndns.com to a DDNS service like dyndns.com, when my ISP changes my IP address, the router tells the DDNS service you have a new IP address, and orubin.dyndns.com properly points to that new address almost immediately. This is especially useful if you want to connect into your home network, as you don’t have to worry about the IP address changing. And for security, there is a built-in VPN server, supporting both OpenVPN and IPSec/L2TP protocols. This will allow items like your phone or iPad to connect remotely using VPN, and then appear inside your local network. This is great when using unsecure WiFi networks at coffee shops or airports. I use this on my current router all the time. 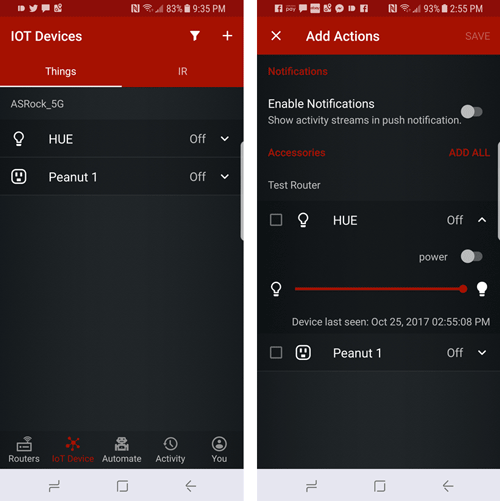 Note with IoT control, you will need to set this up to control your IoT devices when not at home. Other functions include a Parental Control setting which allows you to set limits on specific clients for both total time and access times. The USB Application lets you attach any USB storage to the USB port on the back, and make it available like a network drive through settings here. 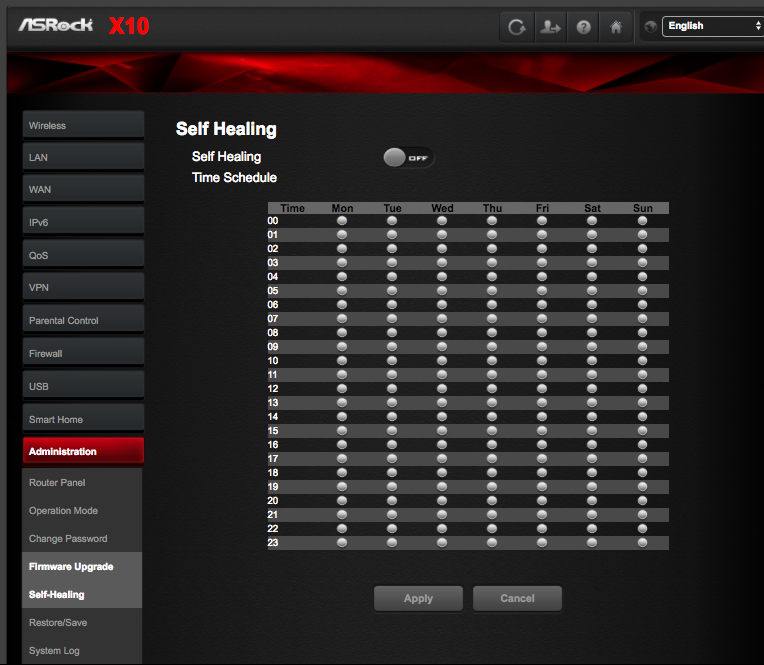 And Self Healing, which allows you to set a time where the router reboots itself automatically. If anything has started acting strange, rebooting is often the answer. Now the router can do this for you on a regular schedule of your choosing, enhancing reliability. The router’s web interface top panel. 1). On the web interface, there is a small symbol at the top, center of every router page (see above) that looks like a page refresh symbol. Nope! Pressing it reboots the router. BUT, there is no warning, no “are you sure” confirmation, it just reboots, killing all connections and stopping all automation until it reboots. Seriously? Oh crap, I cannot login! 2). Only one person can log into the router at a time, and there is no way to kick off the other person to take control. Several times I tried to log in using the web interface but had left the phone app connected to the router. The message above appeared. There really needs to be a way to knock off the other user IMO. The system logs off users idle for more than 5 minutes. But you cannot get access if the other user keeps using the interface. Not good. 3). I wish there was a web interface for IoT control. Having to find my phone is annoying when sitting at my computer. And the small screen makes home automation more difficult to set up. 4). I find it annoying that the X10 protocol is not a something this router supports. I mean, especially given the router’s name. Actually, I find it disappointing that the router does not support any of the other home IoT protocols either. I love the idea of a single router and hub to pull everything together, and this is not yet it. And just in case you want to know just how many protocols there are, look here and this list does not even list them all. There are lots. 5). The app really needs a real app interface for router control. Using the web version on a phone is most annoying. 6). I really want to control my home using voice with Amazon Alexa or Google Home, especially lights. Sadly missing from the router is any Alexa or Google home control interface. A far as AC1300 routers go, I found it easy to setup and loved the idea of adding home control to a router. The WiFi signal is amazingly good for distance, and the dual stream MU-MIMO technology really helps WiFi speed if you have multiple users in the house. The addition of the IoT is a good start and a cool feature for a home router, but I really want to see more protocols supported. The device performs automatic firmware updates, but not sure if new protocols are in the future. I do like the idea of home security for IoT, and hope to see future routers from ASRock that support more protocols. However, the case feels cheaply built. Add the poor mobile app interface, the lack of home control via the web interface, and less than stellar speeds for Wifi, and overall the device needs improvement. Full specs on the router can be found on this ASRock web page. MyMac Reviews rating is 5 out of 10. A decent first try, but I’ll wait for the next model.